Tipped to the original debossed paper mount; illegible copyright blindstamp lower left. Catalogue number (188) in pencil, verso. Hortense Schulze was active in San Francisco c.1897-1903, where she operated a gallery at 116 Stockton Street. 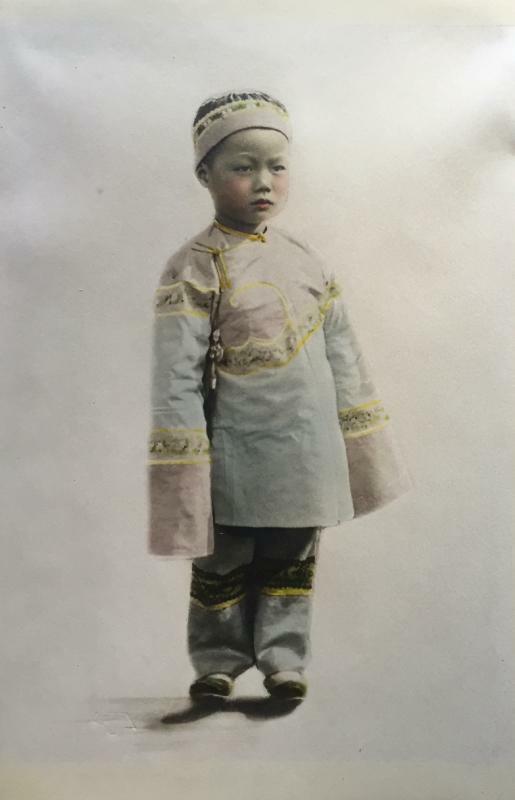 She specialized in photographs of Chinese children, of which this is a pristine example. Her work is included in the book “Picturing Chinatown” by Anthony W. Lee (2001),and her photographs also illustrated an article by Mary Davison “The Babies of Chinatown” in the Overland Monthly, 1899. She exhibited twelve prints in the Second San Francisco Photographic Salon of 1902, which was reviewed in Camera Craft magazine. Items Similar To "Chinatown Child (#188)"